Many of us have heard of asbestos, and at least know that it is a very dangerous substance when used incorrectly. Fortunately, the dangers of asbestos have been realized many decades ago, and today all traces of the material have been eradicated from use in the US automotive industry. Still, you will occasionally find mentions of asbestos in catalogs, such as BMW’s translated description of brake pads and shoe friction material labeled as “brake lining asbestos free”. However, just because it hasn’t been produced in automotive products for decades, it is still important to realize that it is out there. If you ever find yourself in presence of a barn find style unrestored classic car, or a horde of new old stock parts, read on. Cars that have been untouched or stored for decades could potentially have asbestos, be careful when handling certain parts. Asbestos is a set of minerals which occur naturally on every continent in the world. Asbestos refers to six fibrous minerals that have the ability to resist heat, fire and electricity. It is believed that as early as 4000 B.C., asbestos’ hair-like fibers were used for wicks in lamps and candles. Throughout history, many communities made use of these materials until modern science linked asbestos directly to many serious health threats.. The Egyptians were some of the first to make regular use of asbestos in the mummifying process and in many steps of tomb decor and construction. They made note of many cases of lung illnesses in individuals who weaved the asbestos fibers. As time passed, asbestos grew in popularity, and during the 1800s, the Italian government was even utilizing asbestos fibers in its banknotes. Meanwhile, in Paris, firemen wore jackets and helmets made from asbestos because of its flame-resistant qualities. Asbestos manufacturing did not become a flourishing industry until the late 1800s, when the Industrial Revolution helped kick start strong and steady growth opportunities for asbestos applications. Asbestos was easily available and accessible across state and country borders. The practical and commercial uses of asbestos quickly became widespread around the globe. By the early 1900s, asbestos production had become a mainstream industry worldwide. Approximately 30,000 tons of asbestos were being consumed annually during this time period. Asbestos’ resistance to elements such as heat, moisture and electricity made it an obvious choice to be an insulator for machinery and equipment. The malleable properties of asbestos made it an attractive additive for building supplies. Asbestos could increase the binding and strengthening capabilities in materials such as cement, pipes, and plastics. But as the mining and manufacturing of asbestos exploded, those who were frequently exposed to the mineral began to report negative respiratory health effects. In 1896, the first asbestos brake linings for horseless carriages were produced by a British company called Ferodo, which is still in business today. High-pressure asbestos gaskets were being sold in the prewar era by Klinger of Austria (now part of the the automotive mega giant Elring Klinger). This trend became more popular due to an increasing number of vehicle and parts manufacturers who determined that the material would be an inexpensive and effective ingredient for high-friction and high heat automobile parts. For automobile enthusiasts, asbestos was mainly used to produce gaskets, brake pads, and brake shoe linings, and could also be found in clutch materials and undercoatings. Australia has a complete ban on asbestos and strict enforcement on classic imports poses an impossible task for automobile collectors. On average, Australian customs will seize 50 prized vehicle imports each year in an effort to maintain tight asbestos regulations. Although explicitly not sold by eEuroparts.com, asbestos-containing automotive parts are still available to niche enthusiasts, specifically preserved in vintage cars or new old-stock parts. This can cause a concern when not handled mindfully. Regulations of use vary by country. Today, most if not all reproduction parts for classic vehicles no longer contain any asbestos. It is important to understand the use of this material within the automobile industry to ensure a safe environment for those who enjoy their classics, whether working under them or driving them. Asbestos does not pose a serious threat when its fibers are fully intact. It is only when asbestos-containing materials begin to wear down and decay that these microscopic fibers can fracture and become airborne, after which these nearly invisible particles will be unknowingly inhaled or ingested. After these fibers are inhaled or ingested, they are likely to manifest in the soft tissue of the organs, namely the lungs, abdomen and heart. While not immediately a threat, these fibers are lodged permanently and are the only known cause of mesothelioma, a cancer with an aggressive prognosis and no existing cure. Does asbestos still pose a danger in the industry? Yes, sort of. Its use has been prohibited in most countries and does not pose an imminent threat for any vehicles manufactured recently. The true danger remains hidden in older automobiles and complex machinery, mainly classic and collectable cars, motorcycles and boats. It is hard to pinpoint specific makes and models containing asbestos, since its use was not regulated. Because asbestos was not seen as a threat until the 1970s, manufacturers and parts vendors began to incorporate asbestos use without any record of the amounts used or the frequency at which it was implemented. Asbestos was used on a global scale and it is likely that every automobile company included the mineral at one point in time and in some shape or form. Awareness training is becoming common for occupations that still run the risk of exposure, such as mechanics, construction workers, and abatement professionals. Second-hand asbestos exposure has become a growing trend in mesothelioma cases. Asbestos fibers can travel through the contact with loved ones who regularly encountered asbestos. Asbestos fibers will linger, sticking to clothing, skin, and hair. Mesothelioma is an aggressive form of cancer that develops in the lining of the lungs, abdomen, or heart. Mesothelioma is proven to be caused by exposure to asbestos. This rare disease has no known cure and has a poor prognosis. Among the various communities impacted by this disease, professionals and hobbyists in the automotive field are at a higher risk of exposure to this silent killer. Owners of classic cars who tinker with do-it-yourself repairs can also be at significant risk for asbestos-exposure and the long-term onset of this asbestos-related disease. 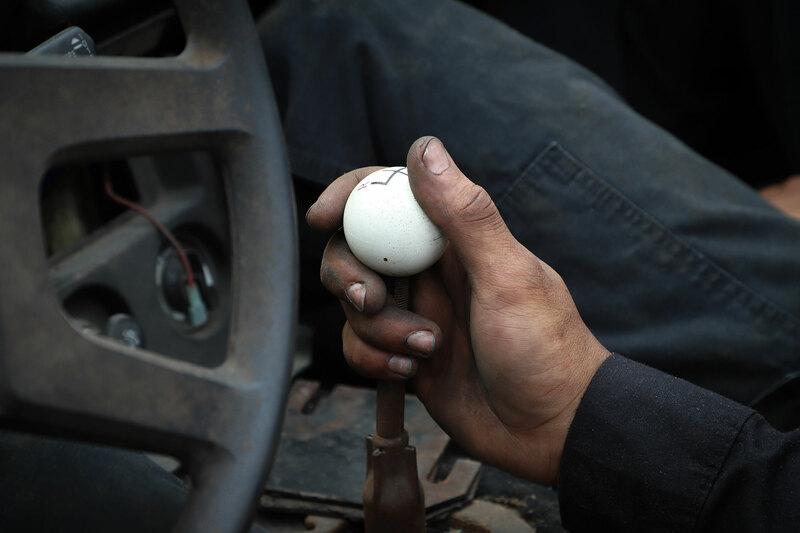 Professional and preventative tools should be used when repairing, restoring, or replacing auto parts. 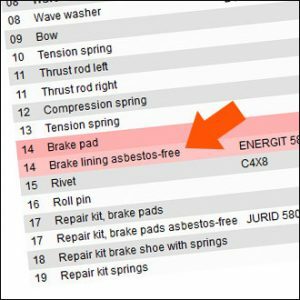 The Environmental Protection Agency (EPA) has published best practices for preventing asbestos exposure during brake and clutch repair. 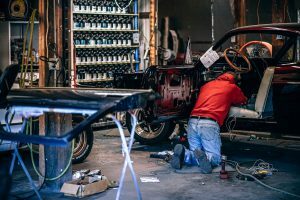 OSHA has also taken a stance to inform and protect those who undergo automotive work, issuing best practices to manage asbestos dust from classic car and motorcycle brakes and clutches.